Large white flowers occur at the peak of summer. 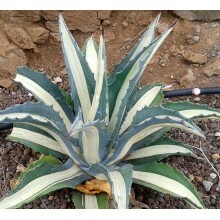 Leaves are thick, typically curled, arranged in fans. They come out of very large bulbs. 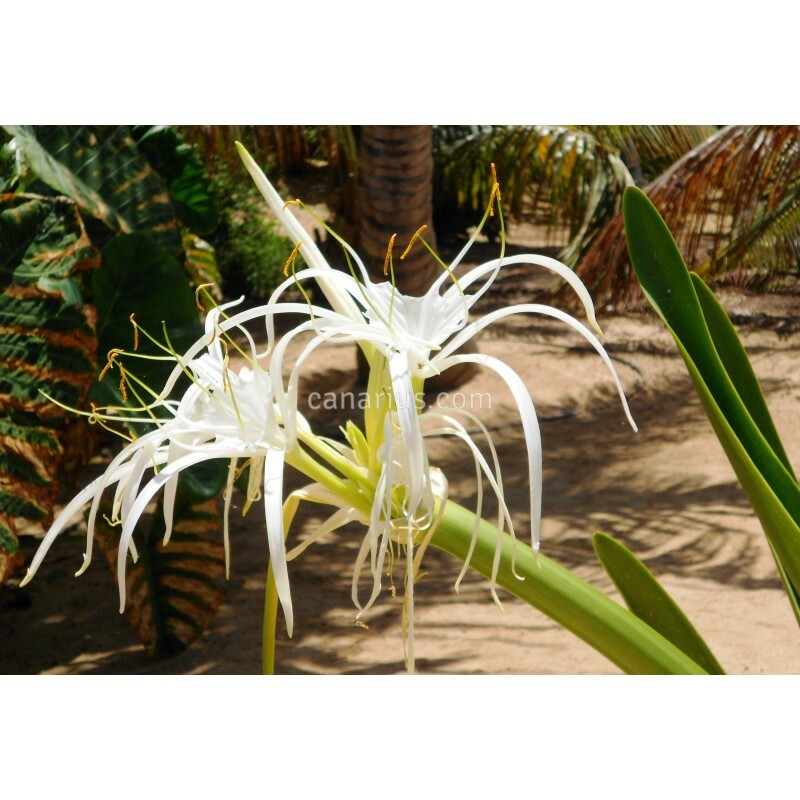 This plant is native to a small area of white sand beaches in the Caribbean. 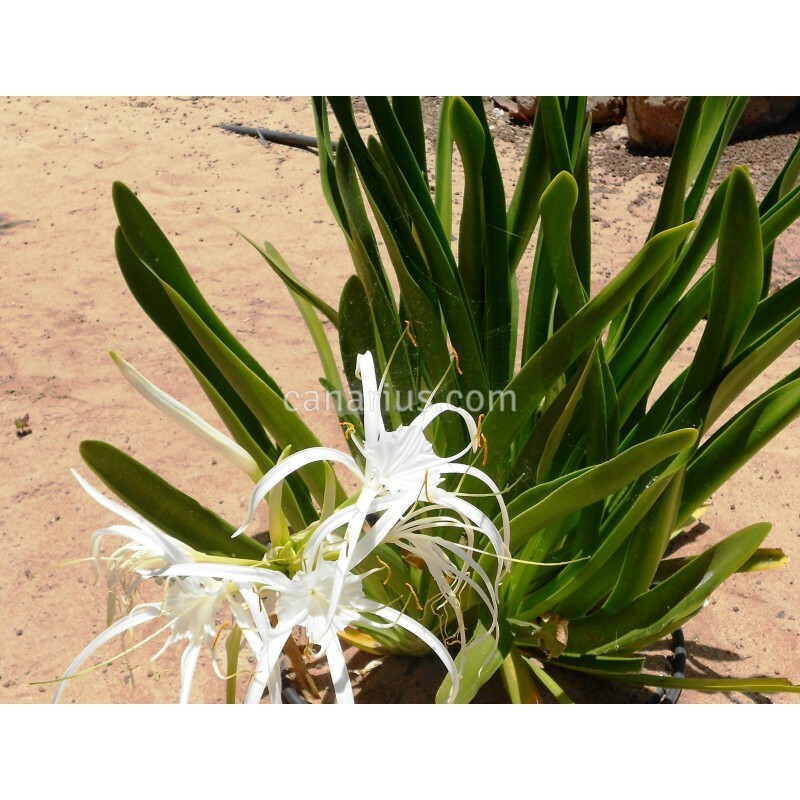 We offer almost-adult bulbs, that can flower in less than one year. Fans of thick leaves emerge from large bulbs. Showy white flowers occur in the warmer months. 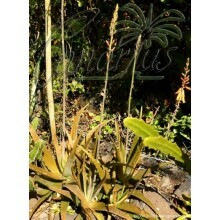 This plant is native to a small area of white sand beaches in the Caribbean. 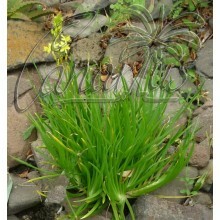 We offer almost-adult bulbs, that can flower in less than one year. 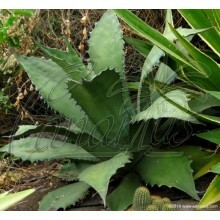 This species in cultivation can be evergreen or deciduous. It will shed leaves in dry spells, but it is better to keep it with at least some leaves all year long.